Carrot is good for health and especially eyes. I read in an article that carrot helps in preventing cancer. 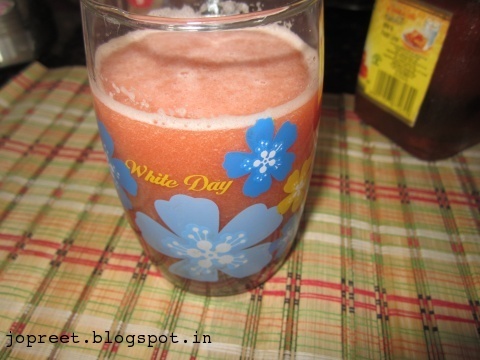 I have used ooty carrots to prepare this juice. You can also use regular ones, in that case, adjust the amount of sugar / honey added. 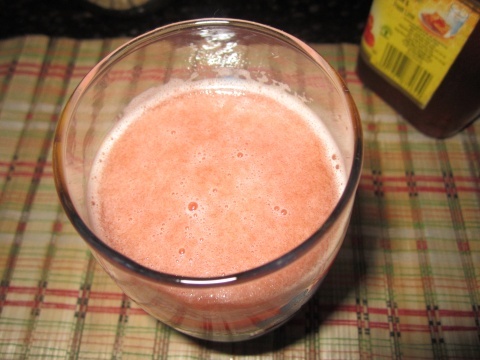 Blend the above ingredients in a mixer or juicer. Add water and serve chilled. 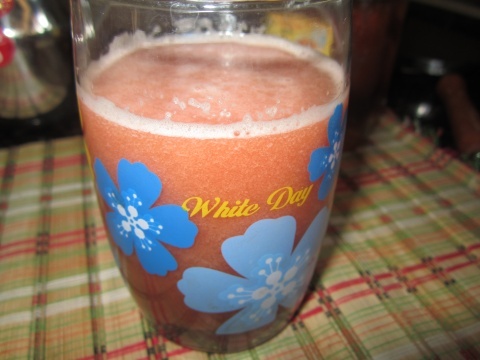 You can also add lemon juice to give extra taste.